Wow, it’s been a while but I’m back! Be sure to check out the other awesome authors participating this month by clicking HERE!! 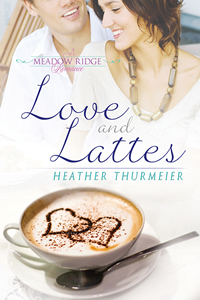 This month, in honor of LOVE AND LATTES going into PRINT I’m sharing a few of my favorite moments from the book. I hope you enjoy them! And if you’ve been waiting to read LOVE AND LATTES until it was available in paperback, now’s your chance to check it out! Sighing, Julia propped her head in her hand and resigned herself to the fact she wasn’t likely to get a drink anytime soon. In a normal setting, people looked right through her. Why had she thought the bar would be any different? Why is coming to the club fun? Maybe if she was tall and blonde, with her breasts bursting out of her top like so many of the other women she saw around the bar, she’d stand a chance of being noticed. But, with her straight black hair falling slightly above her shoulders and a dress only providing a hint of what hid underneath, she simply couldn’t compete. And congrats on going to print! Great six! Makes me wonder what she is doing there! I’m always a fan of a brunette! Enjoyed your six. I’m sure things will get better for her – loved the description, really felt her emotions. Great six! Great to see you back Heather! Loved this snippet and the cover looks really good too! Yep, she may think she’s not being noticed, but in a crowd of blondes? Definitely being noticed. (At least by the hero, right?) I love this setup. We’re about to have a very fun meeting, right?? Congrats on the new paperback pub. Great six!! She only needs one guy to notice her… and I bet he does, too. Great six!